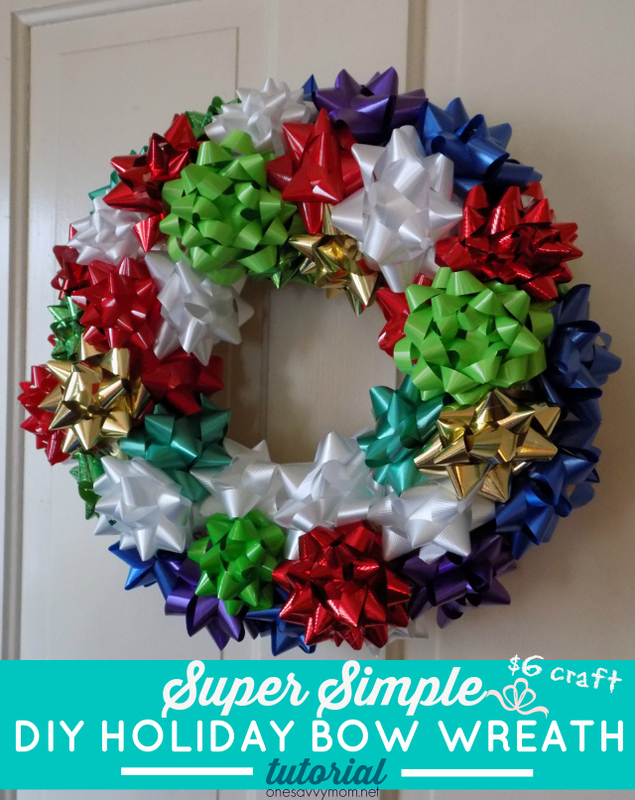 Looking for a super simple DIY holiday decor project idea? 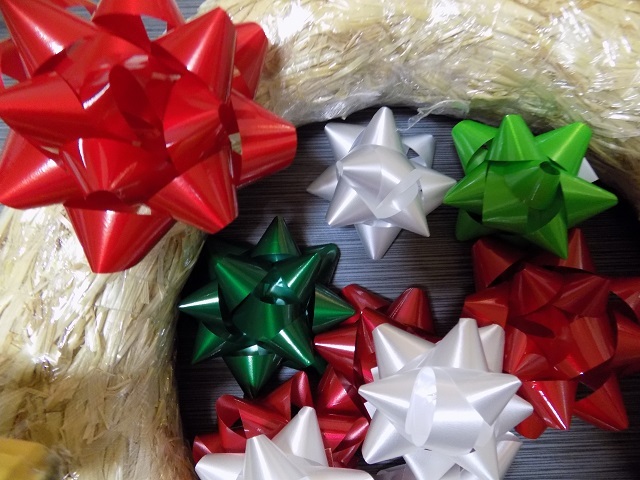 This cute DIY Holiday Gift Bow Wreath is so easy to make, and it's a frugal craft too, as it only cost me about $6 to assemble. I love simple holiday DIY's that can be completed in under an hour, don't you? This way, I can get crafty during nap time and have a fun completed project/product by the time the baby wakes up. No left over half-finished mess, just some cute DIY holiday decor! Start by creating a hanger for your wreath with your floral wire. 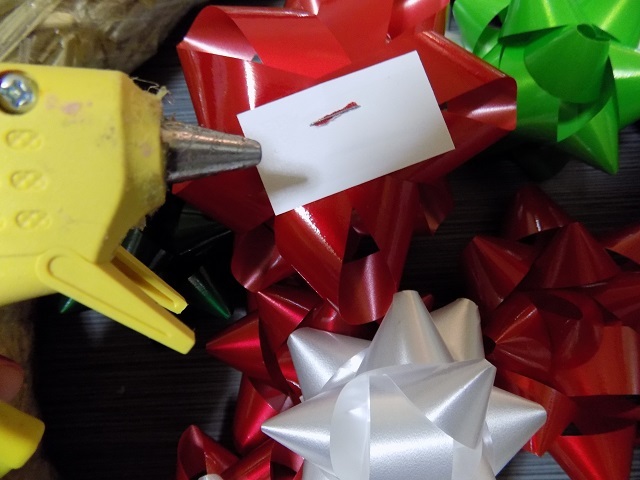 Next, peel the paper backing off of the self-adhesive sticker on the gift bow. 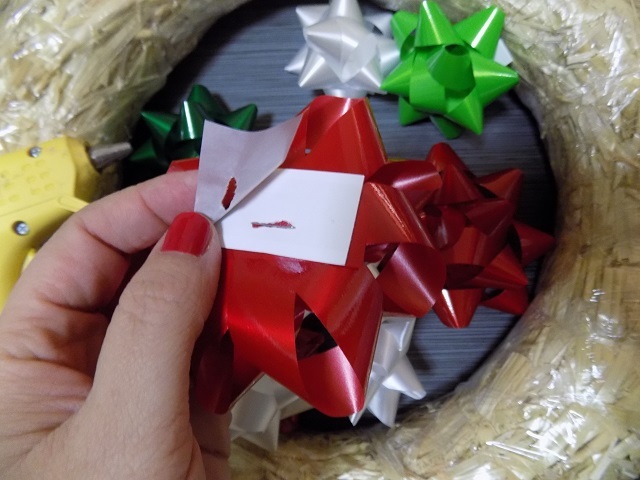 Flip your bow over after you've applied the hot glue to the back and press it down in the center to affix it to your wreath form (careful not to crush your bows). . Continue by repeating the above steps until the entire top surface, perimeter, and inner portion of your wreath form are covered with gift bows. I used 75 bows to cover my 12" wreath form. 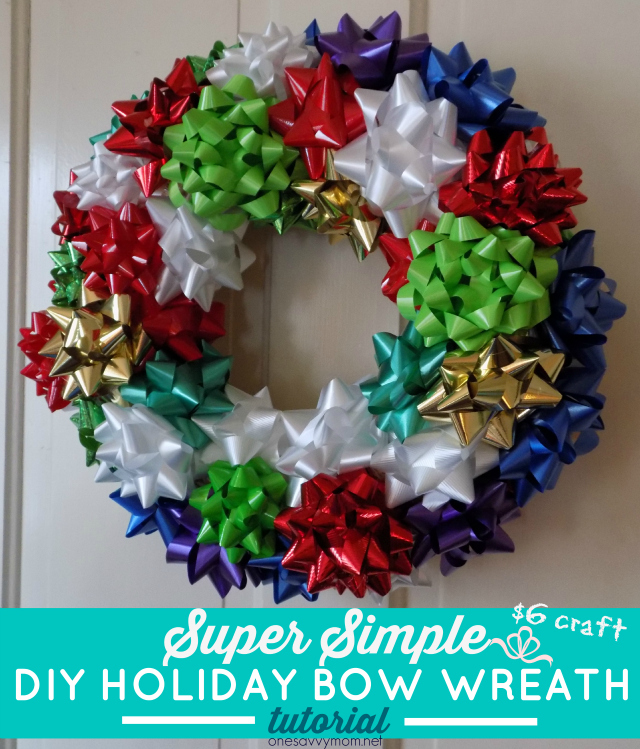 Last, find a place to hang your completed DIY Holiday Gift Bow Wreath, and enjoy. Happy Crafting & Happy Holidays!